TGIF! I'm geared up and ready for a fun family weekend. It's suppose to be 90 degrees tomorrow, so we are going to take full advantage and enjoy! 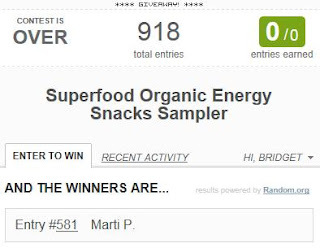 Now it's time to tell you who won the Superfood Organic Energy Snacks giveaway. 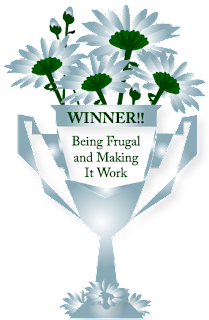 I would also like to thank Superfood Snacks for making this energetic giveaway possible for my readers.